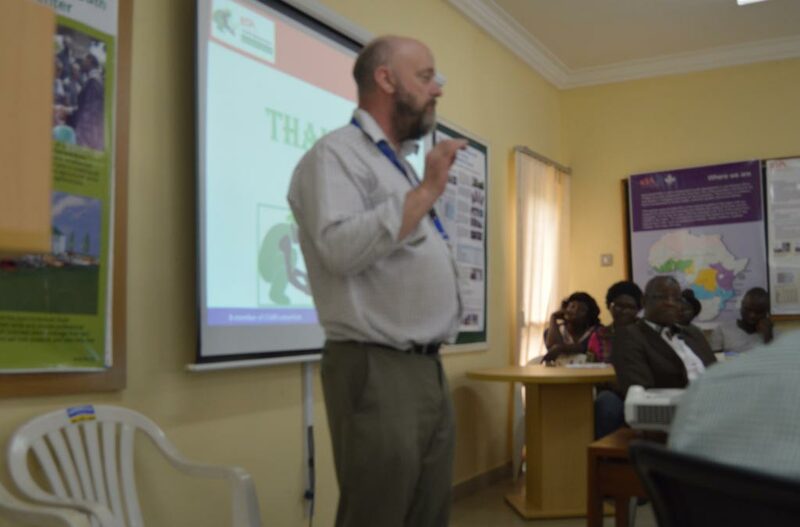 Michael Abberton, IITA Deputy Director, West Africa Hub, made his first familiarization visit to the IITA Abuja Station on 7 September, during which he praised the projects at the station and said the station holds much potential for transformation and growth. 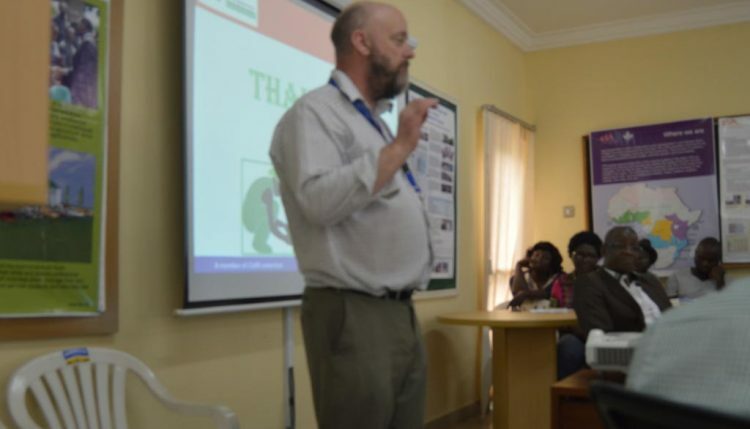 Dr. Abberton addressing scientists, Agripreneurs and staff in Abuja. Abberton visited the station to see the progress of ongoing projects implemented at the Station and was welcomed by the Head of Station, Gbassey Tarawali. Tarawali made a presentation on the transformation of IITA Abuja, while the IITA Youth Agripreneurs-Abuja members presented on developmental and innovative activities. Responding to the detailed presentations, Abberton assured the staff of his support. “I was surprised to see the great transformation of the station and its potentials. Definitely, the station deserves more attention at this crucial period”, he remarked. Abberton also interacted with the scientists at the station.